Women buyers have far too often been an overlooked market by automakers, but in 2016, manufacturers are taking into account their tremendous consumer buying power, offering new luxury models that have a unisex crossover appeal, and specifically tailor to a woman’s wants and needs. Besides wanting their own “toys” to play with, women hold the keys to the decision making when purchasing their next family car. These savvy buyers are seeking a perfect combination of safety, performance, and reliability - cars that get them to where they need to go in style, with looks that are sure to turn heads. Here are some of the top rated luxury models popular with women buyers today. For women with safety in mind, the new Acura MDX provides a full suite of features as standard. Auto emergency braking, lane departure warning, lane keeping assist and adaptive cruise control are all fitted under the umbrella of AcuraWatch, which uses a millimeter wave radar and monocular camera to detect other cars and lane markings on the road. The legendary British brand recently unveiled its futuristic edition, Jaguar F-Type R Coupe. Offering 14 color variations, engine and final finish, the convertible coupe boasts a V6 engine that can map a distance of 0-60 mph in 5.3 seconds. No shrinking violets need apply! The coupe includes an electric power steering system, six-speed manual gearbox and rear-wheel drive. The car also includes an excellent Jaguar navigation system, allowing the car to be linked to a special app that can remotely start the engine and pre-warm the car. The 2017 Cadillac XT5 takes elements from the former SRX design and smooths off the edges for a sleeker, less masculine, and more modern feel. While the SRX had a more aggressive grille, with straight lines and sharper tai llights, the XT5 has shorter overhangs both front and rear and more rounded edges, with a new interpretation of the vertical tail light that hints at the Cadillac fins. The end result is a contemporary design, with a high-end buyer in mind. A true luxury offering from a classic brand. The BMW Cabriolet of the 6 Series is a power-fed convertible that features the all-wheel drive system with a choice between two engines – the six-cylinder 640i or the eight-cylinder 650i. Offering a compact comfort zone, the car fuses the beauty of its exteriors with futuristic power drive tech specs. We think this model is a perfect treat for those little black dress night-on-the-town, or a summer’s weekend drive up a coastal highway. 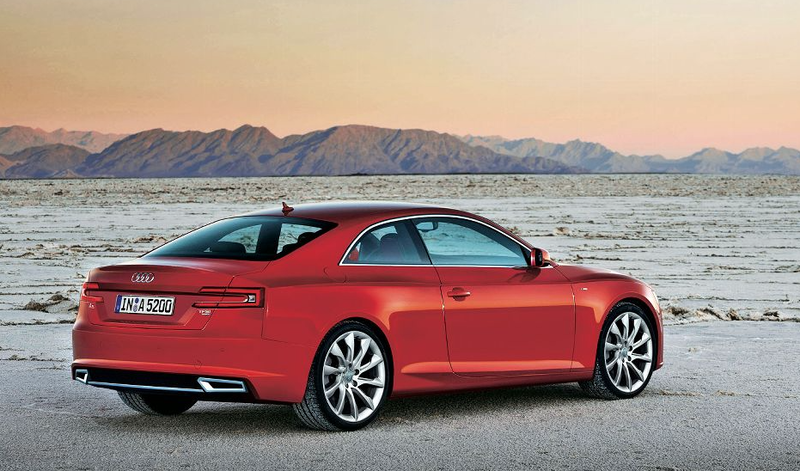 The Audi A5 boasts almost every power and heated accessories you can think of, including dual-zone climate control, leather upholstery, satellite radio, and Bluetooth. Optional add-ons include a crystal-clear Bang & Olufsen sound system, navigation, and iPhone integration. The latest-generation infotainment controller is also employed, making it easy for moms on the go. As an added bonus, new Google Earth and Street View mapping provides some of the clearest, most beautiful renderings we've seen on a GPS. At Car Leasing Concierge, our clients’ peace of mind is our highest priority. Women don’t want to go to dealerships feeling like they’re not being listened to, or taken seriously by aggressive salespeople. By removing dealers from the equation, we listen to your needs! We’ll treat you like a VIP- providing the best Luxury car lease deals and personalized assistance that’s second to none. As an added bonus, we’ll even deliver your vehicle to your door. Your only job is to sit back, relax, and enjoy your new car! To learn more on how you can experience A Better Way To Lease or Buy A New Car, visit http://www.carleasingconcierge.com, or call 1-800-886-1950.